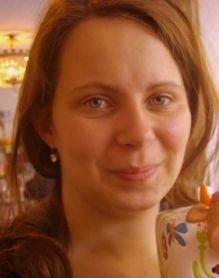 Kaja Markiewicz holds a BA in Bulgarian Philology from the Adam Mickiewicz University of Poznan, Poland, where she was a leader of the Slavonic Student Circle. In 2009 she was an Erasmus scholarship student at the Paisii Hilendarski University of Plovdiv. She worked as a trainee at the Polish Institute in Sofia. Her interests include Bulgarian dialectology and translation. She lives and Sofia and works as translator.